FORMER FRENCH PRESIDENT Nicolas Sarkozy has been ordered to stand trial on charges of corruption and influence peddling involving a judge from whom he sought information about an investigation, a legal source told AFP. Prosecutors have also recommended Sarkozy’s lawyer Thierry Herzog and former judge Gilbert Azibert stand trial in the case dating back to 2014, the source said. If confirmed it would be a second trial for the rightwinger, who is set to be prosecuted over alleged illegal campaign financing for his unsuccessful re-election bid in 2012. 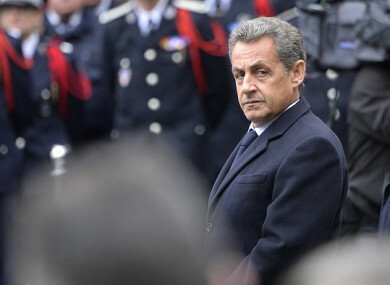 However, Sarkozy would be expected to appeal the decision. The 63-year-old has also been charged over suspected illegal financing and corruption involving former Libyan dictator Muamar Gaddafi in the most serious of the allegations against him. The influence-peddling case centres on conversations between Sarkozy’s lawyer and the judge Azibert that were tapped by investigators looking into claims that Sarkozy had once accepted illicit payments from the L’Oreal heiress Liliane Bettencourt. He was cleared over the Bettencourt allegations in 2013, but the wiretaps suggested he had floated the idea that Azibert, a magistrate from a top appeals court, could be given a top job in Monaco in exchange for information on the Bettencourt probe. In 2014, Sarkozy became the first former French president to be taken into police custody during a preliminary stage of the inquiry. He is not the first ex-president to be prosecuted for corruption – his predecessor Jacques Chirac was given a two-year suspended sentence in 2011 for embezzlement and misuse of public funds during his time as mayor of Paris. Sarkozy claims he is innocent of all the charges against him and has consistently claimed the cases are politically motivated. After being charged over the Libya financing allegations on 21 March, he vowed to clear his name. Sarkozy had already stepped back from a front-line public role in 2016 after he failed with a bid to run again for president, but he remains an influential figure behind the scenes at the Republican party. After being charged in the Libya case, he admitted that he was “finished” in politics. Email “Sarkozy ordered to stand trial for attempt to influence judge”. Feedback on “Sarkozy ordered to stand trial for attempt to influence judge”.